During 2016 we have been developing Radiator VNF together with our partners and customers in order implement a true unified vAAA solution. As year is closing to end, we are happy to tell a bit about the Radiator VNF and Radiator VNF Manager and the Radiator VNF 2017 release. 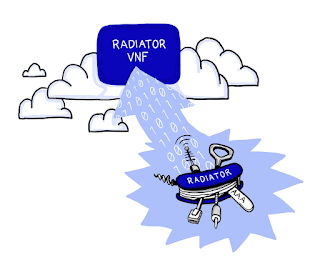 Radiator VNF is a true NFV solution: it handles the virtualisation process automatically. The VNF manager scales and configures the virtual servers without human interaction. The scaling is based on KPIs (Key Performance Indicators), which the Radiator VNF system produces. Scaling does not compromise service reliability, there are no interruptions in service when scaling the system. Radiator VNF Manager configures automatically all the new instances. Radiator VNF is a hardware-independent solution. This provides easy integration for Radiator VNF and makes it truly portable into different environments. The Radiator VNF 2017 release is provided for Openstack API. Implementing the AAA system in a virtualised environment provides good scaling possibilities and high performance with lesser resources. Virtualisation allows better utilisation of the hardware layer and improves the application availability. Scaling and better performance is achieved without adding more hardware resources. The scaling process in Radiator VNF is modular, each VNF component is scaled separately according to the traffic needs. This approach provides possibilities to optimise the scaling and resource usage for each component. If some kind of an error situation occurs, VNF components try to recover from it automatically. Radiator VNF package contains ready templates for testing tools - available when needed. Radiator VNF provides a possibility to scale the system also manually. Radiator VNF release 2017 will be commercially available during Q2/2017. In case you are interested in Radiator VNF solutions, please contact info@open.com.au . 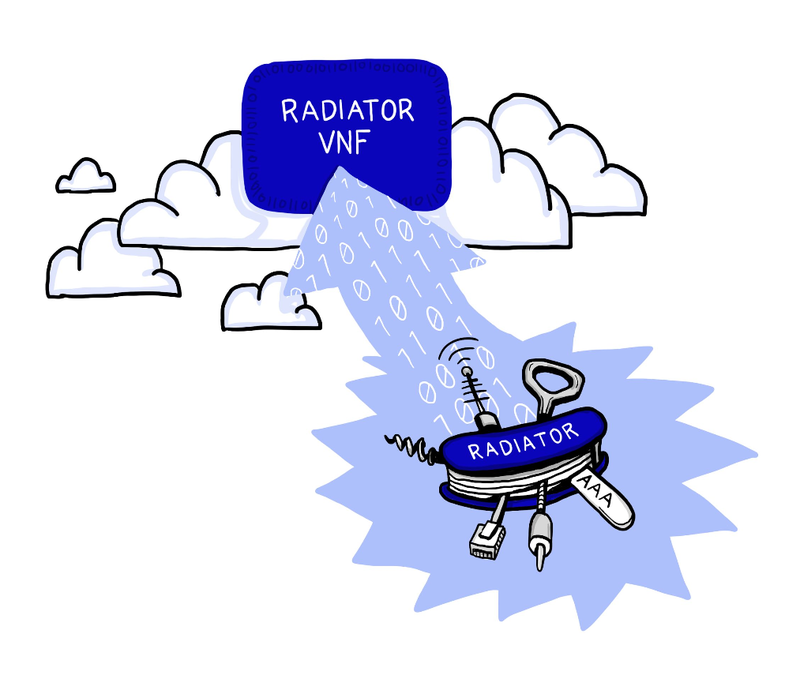 We are happy to tell you more about Radiator VNF, and assist you with your NFV and AAA project with Radiator solutions.